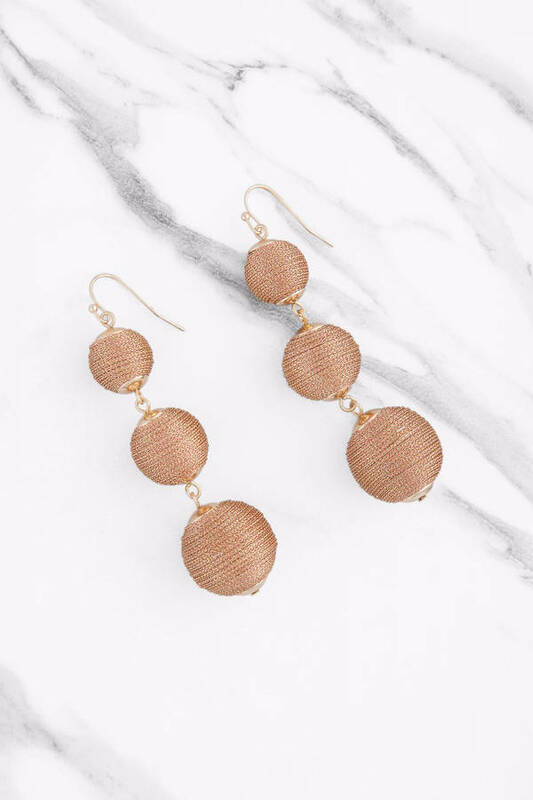 Check out Tobi's Get The Ball Rolling Earrings The party starts here. You'll love the Grey Get The Ball Rolling Earrings, with metallic thread winding around three tiered spheres to glittering effect. The tiered ball earrings will add a glam flourish to a bodycon dress, or elevate a winter sweater with these statement earrings. The party starts here. 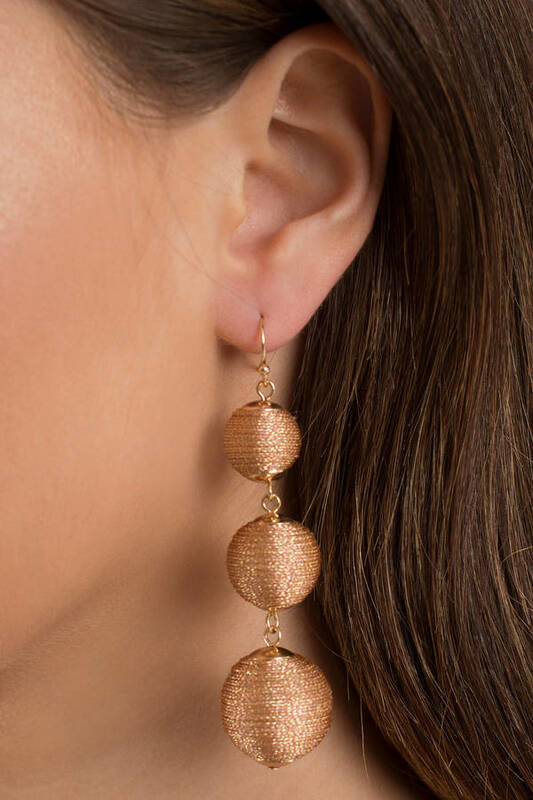 You'll love the Gold Get The Ball Rolling Earrings, with metallic thread winding around three tiered spheres to glittering effect. The tiered ball earrings will add a glam flourish to a bodycon dress, or elevate a winter sweater with these statement earrings. The party starts here. 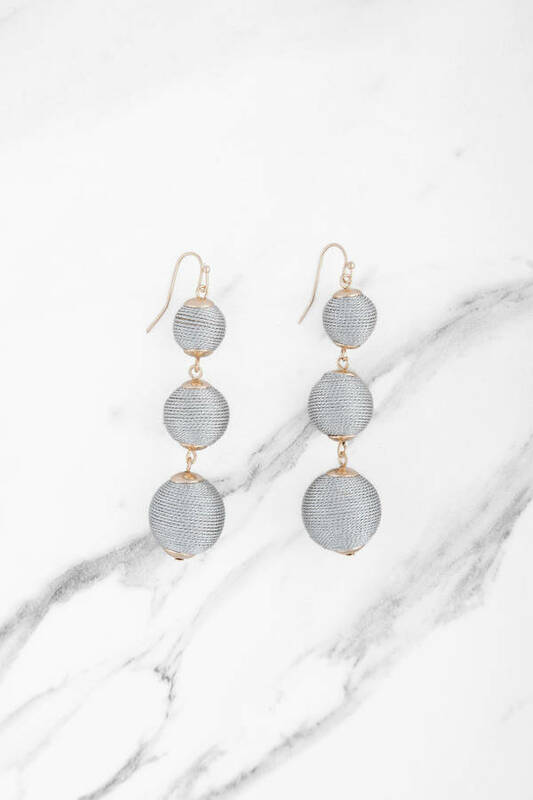 You'll love the Grey Get The Ball Rolling Earrings, with metallic thread winding around three tiered spheres to glittering effect. The tiered ball earrings will add a glam flourish to a bodycon dress, or elevate a winter sweater with these statement earrings.